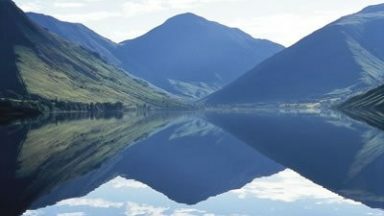 The Cumbrian countryside to the north of Kendal is home to no less than five rivers; the Rawthey, Lune, Mint, Sprint and Kent which begin life in the high fells of the Lake District and the Howgills, and make their way to the Irish Sea. Passing through gaps left by glaciers and running over unique geological features such as outlying sections of the Whin Sill these rivers are a delight to walk beside, often crossed by ancient packhorse bridges. 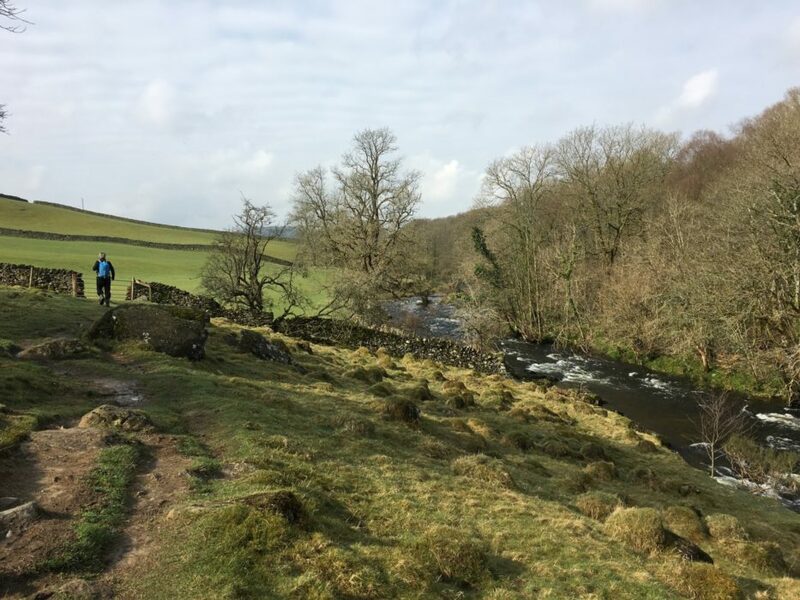 There is an amazingly varied day walk that takes in all these rivers, and that is the penultimate stage of the Dales Way, the section between Sedbergh in the Yorkshire Dales, and Staveley, a village at the gateway to the Lake District. 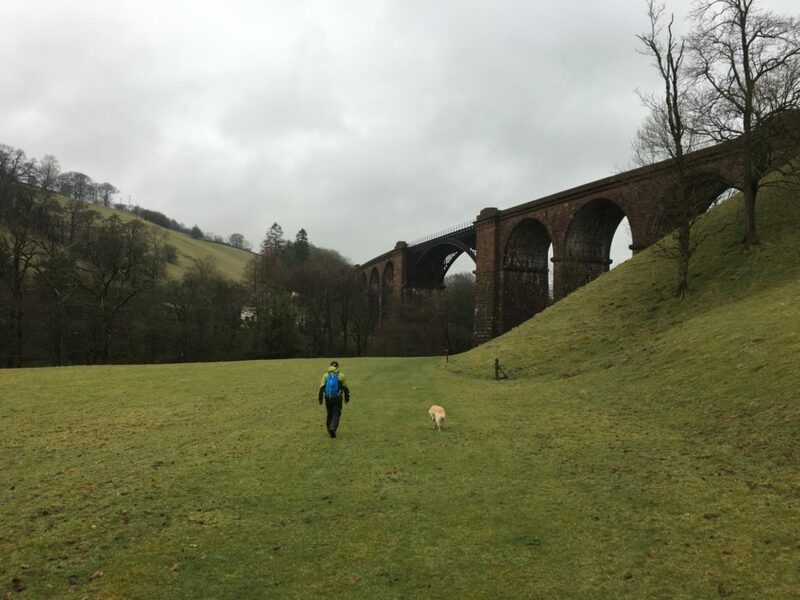 This walk has become one of our favourite 'training' walks which we aim to complete before a trekking holiday, as it combines both a long walk (19 miles or 31km) with short bursts of hill walking and descent. 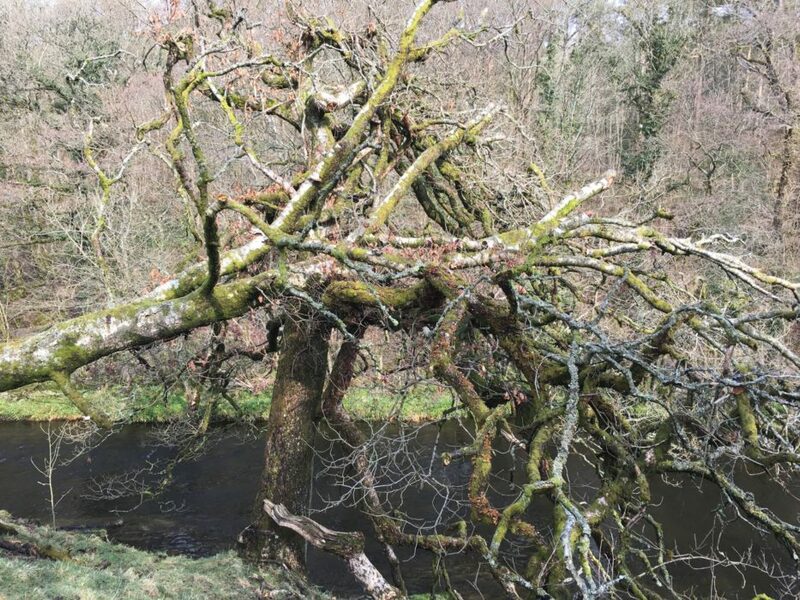 It's a linear walk, a section of the Dales Way, that can easily be achieved using a combination of buses and the Oxenholme to Windermere railway, and the views of both the Howgills and southern Lake District are of constant interest, as well as the many sections of riverside walking. Beginning in the English Book town of Sedbergh which nestles beneath the southern flanks of the Howgills, the route takes you west beside the river Rawthey, in sections along the Rawthey Way 'a lovely path parallel with the river and shrouded in light woodland of hazel, hawthorn, sycamore and ash.' For a while the route then makes its way through relatively flat farmland, before emerging at Lincoln's Inn Bridge which crosses the river Lune, named after the former landlord of the Inn (now a farm), situated at one end of the bridge. Between this bridge and the bridge at Crook of Lune, the path follows the east bank of the river Lune, with glorious views of the Howgills which seem ablaze in autumnal colours, or in spring where delightful bluebell woods and flowering hedgerow make you reach for your camera at every turn. It's a delight, but also involves some hilly romps over pastureland which get the leg muscles working a little. 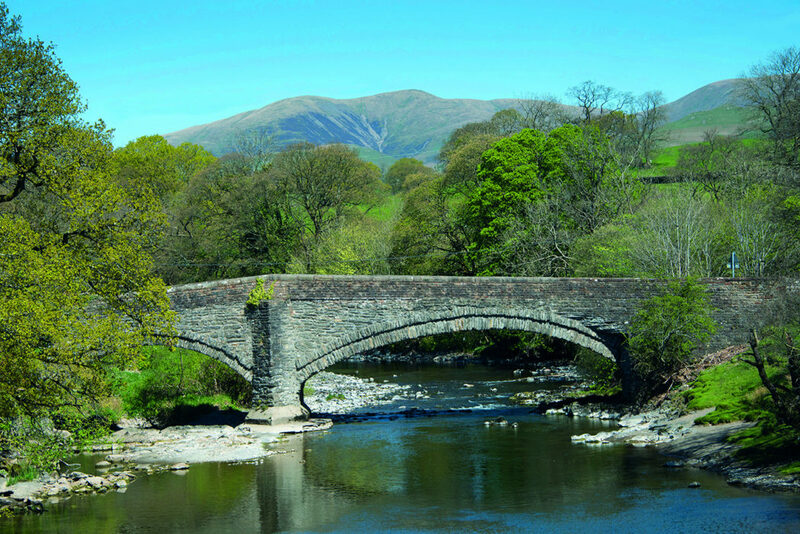 Eventually you reach the Crook of Lune bridge, a narrow packhorse bridge JUST wide enough for most family cars to pass. This is where you leave the river Lune, which used to form the boundary between the former West Riding of Yorkshire and the county of Westmoreland. From here the Dales Way follows paths through more farmland with retrospective views of the Howgills, and views ahead towards Kentmere. 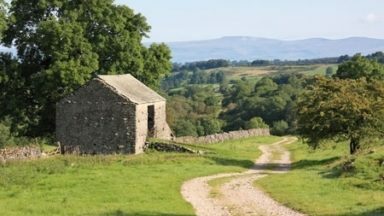 Despite being just a few miles north of Kendal, there is a sense of isolation, passing through tiny hamlets and farmland, but with a welcome offering of cold drinks from a cool box outside Lakethwaite Farm. You're away from the rivers here, but you do pass Black Moss Tarn on your way to rendezvous with the next river, the river Sprint, just to the east of Burneside. Between Burneside and Staveley the path follows first the left (east) bank then crosses over a double-arched stone bridge to the right (west) bank of the river Kent, noted for being one of Britain's fastest flowing rivers. On this stretch of river you pas through a shallow wooded gorge, past ancient woodland and across delightful meadows with the fells above before reaching Staveley. What's so special about this region? 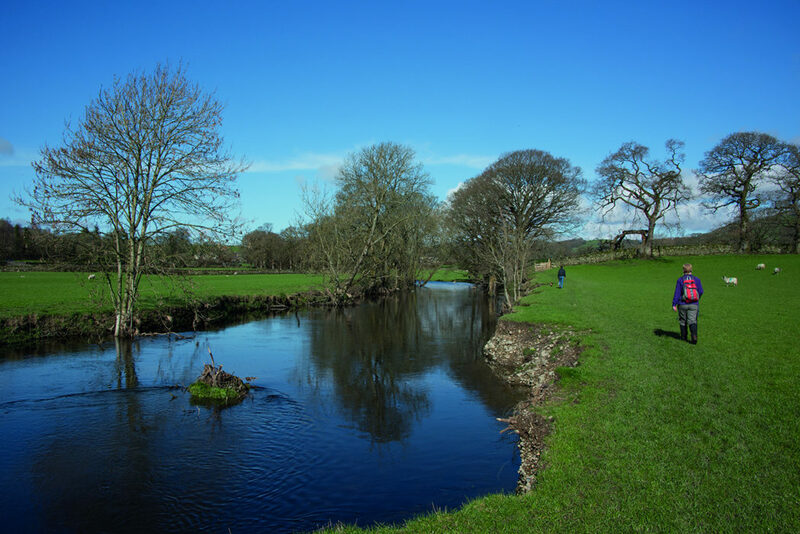 This is a walk in peaceful countryside on the fringes of both the Yorkshire Dales and Lake District National Parks. 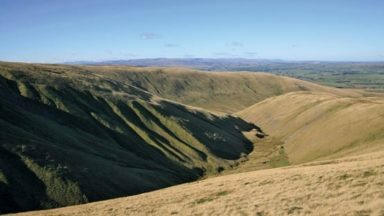 There are stunning views to enjoy, unspoilt countryside and ancient woodland, contrasted briefly by the crossing of the M6 motorway and the mainline railway which share the Lune Gap to the west of the Howgills. 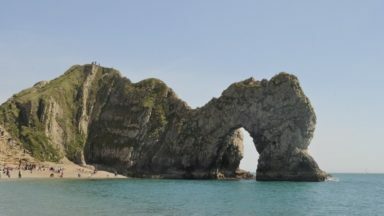 Accommodation and public transport allows for easy access, and the route described make for an ideal weekend walking break away from the crowds. 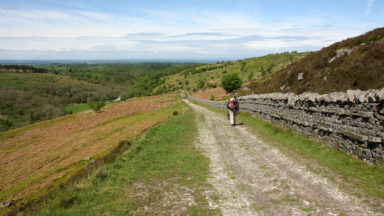 This is a long, full day of walking, so you might want to break it into two sections, or extend it to a full weekend by continuing on to Bowness on Windermere, at the end of the Dales Way. Stopping at Burneside and taking a train to neighbouring Kendal, Staveley or Windermere will give you options for the following day. Busses serve Sedbergh from Kendal and Oxenholme, and there is a good selection of accommodation available in Sedbergh, Kendal and Windermere. To break the route you could walk into Kendal or take a bus/taxi from the crossing of the A6, or alternatively continue to Burneside and take the train either towards Kendal or Staveley.